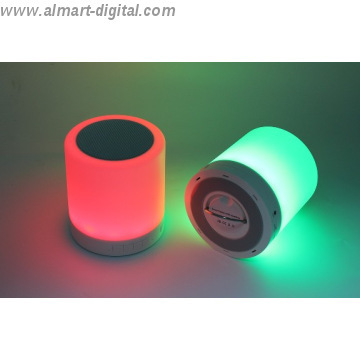 FOB Price Get Latest Price ModelLV2015RGB Certification ROHS, CE, FCC CapableKC,UL,PSE,BSCI Min.Order1000 pcs Brand NameALLMART Brief Description1.Bluetooth music2.Led light. Adjustable. 3 levels3.Hands free call4.With the hook on bottom make the speaker portable. 9 hours music playing time . 18 hours lighting time with low brightness, 10 hours lighting time with high brightness. 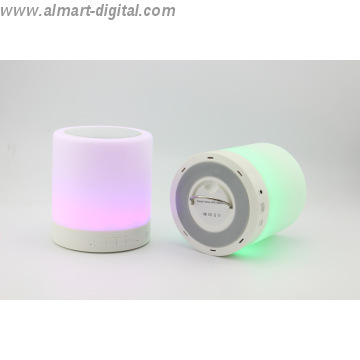 This is our 2015 new private model : Portable led light bluetooth speaker with fm radio & tf card & hook on bottom. 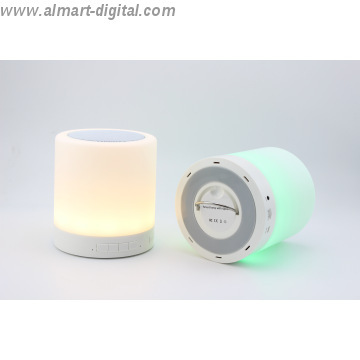 It's 6 in 1: Bluetooth speaker+ led light+hands free call + TF card+ FM+ portable hook on bottom. 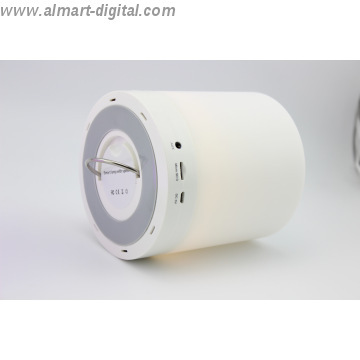 You can adjust the brightness of the led light by touching the top of the speaker . Three levels brightness. The hook on the bottom of the speaker make it portable for you. What's more,we have our own design and research department. 1.Sample is available within 3 days.2.Lead Time: Neutral Product 5-10 days after deposit3.OEM MOQ: 1000PCS. OEM Lead time: Within 20-30 DAYS.